Since No Fire Zone was released in 2013 a lot has happened. 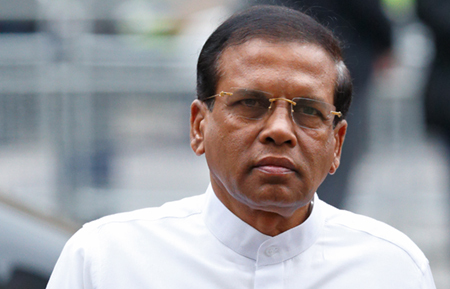 New Evidence continued to emerge and worrying developments continued to occur in Sri Lanka. Below are links to sub campaigns and events that have taken place since the Film was launched. The Government of Sri Lanka had always maintained that the Tamil Tiger newsreader Isaipriya had been killed in battle and her name clearly appears in Sri Lankan Army reports to this effect. However clear evidence emerged that directly contradicted this and clearly showed that Isaipriya was captured alive and uninjured by the Sri Lankan Army. Photographs also emaerged showing Isaipriya and another girl Ushalini bound and guarded by Sri Lankan Soldiers. Both Ushalini and Isaipriya are later photographed dead and their bodies showing clear evidence of sexual abuse. 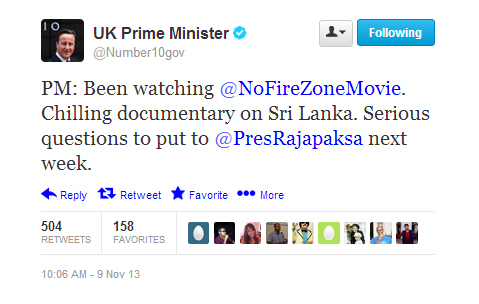 During his visit to the UK President Sirisena claimed in an interview not to have seen the film No Fire Zone. 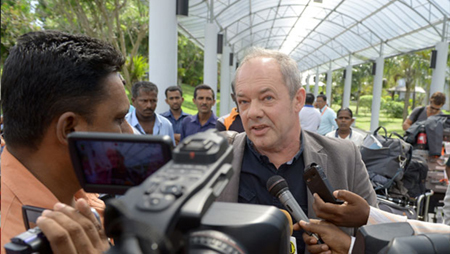 No Fire Zone Director met with the Sri Lankan High Commission in Lodon to present the President with special copy of the Sinhala version of the film containing a personal message to the President. 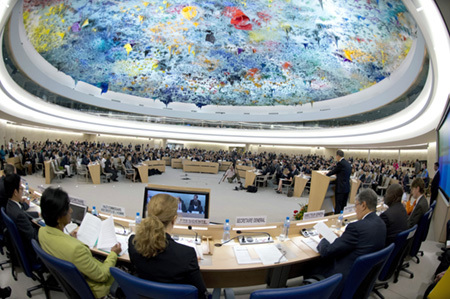 In March 2014 the UNCHR voted to setup an independent international inquiry following the persistent failure of the Sri Lankan Government under the leadership of President Mahinda Rajapaksa to effectively investigate allegations of war crimes committed at the end of the Bloody civil war in 2009. Just prior to the Commonwealth Heads of Government Meeting held in Colombo and with flagrant disregard for the International Scrutiny that was being given to the Human Rights situation in Sri Lanka a prominent campaigner for the mothers of the disappeared Balenderan Jeyakumari (Herself a mother of a disappeared child in this case her son Mahindan) was arrested under prevention of terrorism legislation and her young daughter was taken into care. 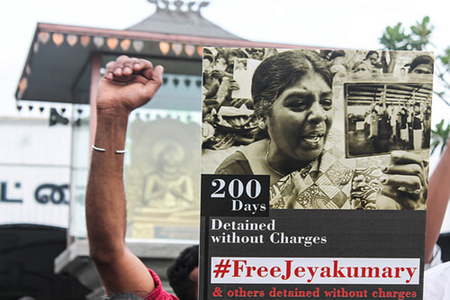 Mrs Jeyakumari was imprisoned without charge. 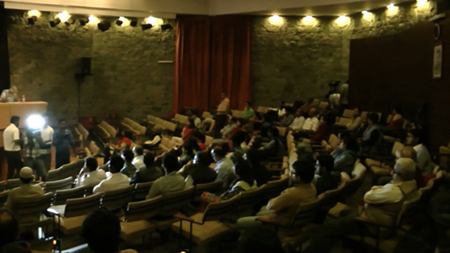 In February 2014 No Fire Zone director Callum Macrae was due to travel to India for screenings of No Fire Zone. Just prior to his scheduled departure he was informed that he would not be granted a visa to travel to India with the film. 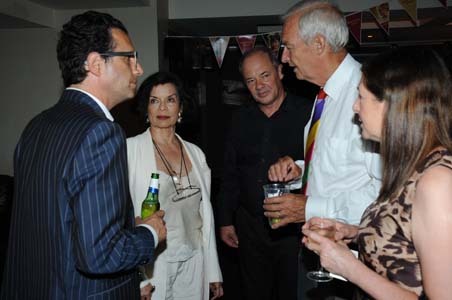 It was later discovered that the grounds for this refusal was that "the film would be likely to affect friendly relations between India and Sri Lanka". The film was also refused certification making public screenings impossible although private screenings could and continue to take place in India.